Writing this blog for over 10 years, sometimes I feel that I've seen everything there is to see. Then along comes something so everyday yet over the top and glorious that I cant wait to share it with you. Today it's a toaster. Dolce & Gabbana and smeg have continued their collaboration with a new collection of small appliances presented during Milan design week 2017. Last year, the two italian companies teamed-up to create 100 limited-edition refrigerators that celebrated the decorative richness of sicilian traditions. this time, smaller-scale objects comprise the series ‘sicily is my love’, including domestic kitchen items like a toaster, juicer, coffee machine, kettle, and blender. The appliances are laden with vivid decoration that evoke traditional sicilian motifs and ornamentation. golden yellow lemons, vibrant citrus fruits, and deep purple figs drawn from the coasts and landscapes of southern Italy adorn each of the objects. Dolce & Gabbana also included images of mount etna on a blender, surrounded by ornamental illustrations, delicate floral forms. 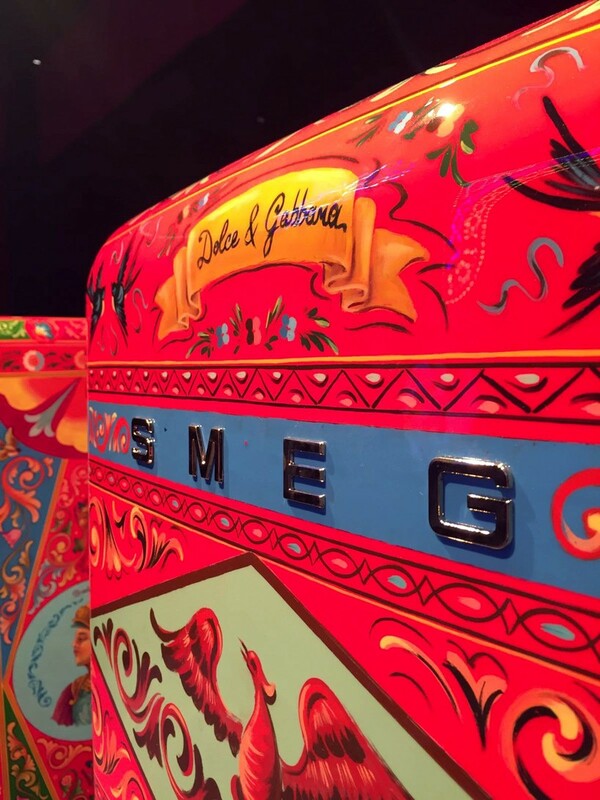 all of the symbols thematically relate to the decorative aesthetics of sicily — the root of Domenico Dolce and Stefano Gabbana’s vibrant vision for the smeg collection. You can buy them at Harrods but at £400 for a toaster, I'm guessing none of these things are ever going to grace my kitchen. Not even I could rationalise spending that on a toaster no matter how wonderful it looks. what's the time charlie brown?